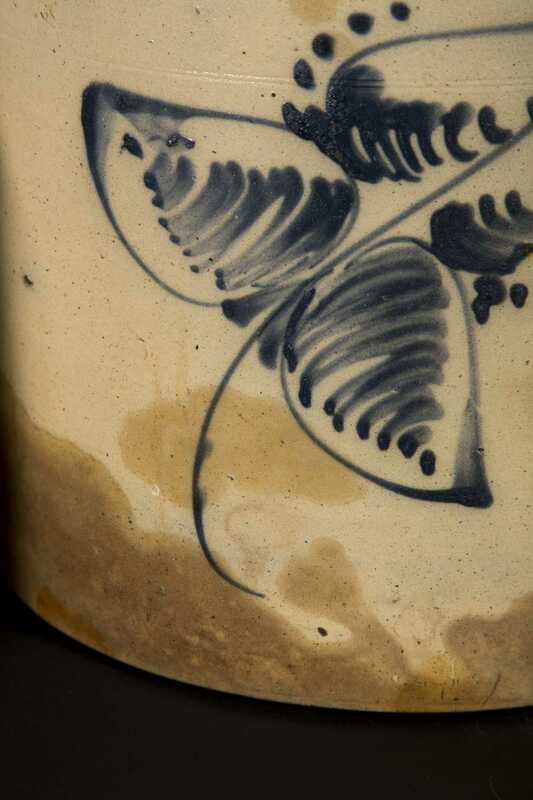 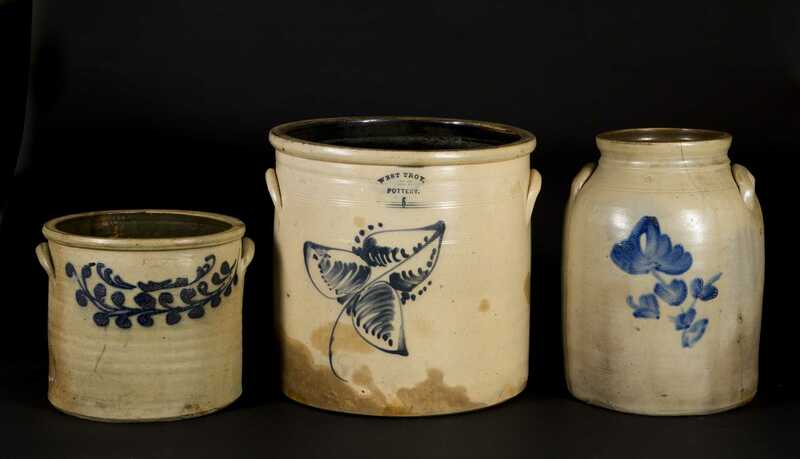 Three Stoneware Crocks with Blue Decoration, Consisting of A) Two Gal "Albany, NY" with two swags of blue flowers, glaze losses on left side form firing mark. 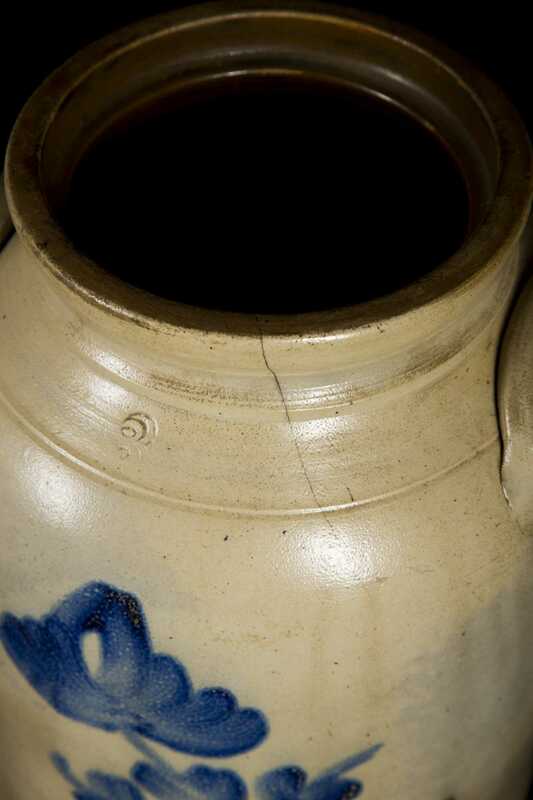 B) Three Gal no name churn with flower decoration and two line cracks. 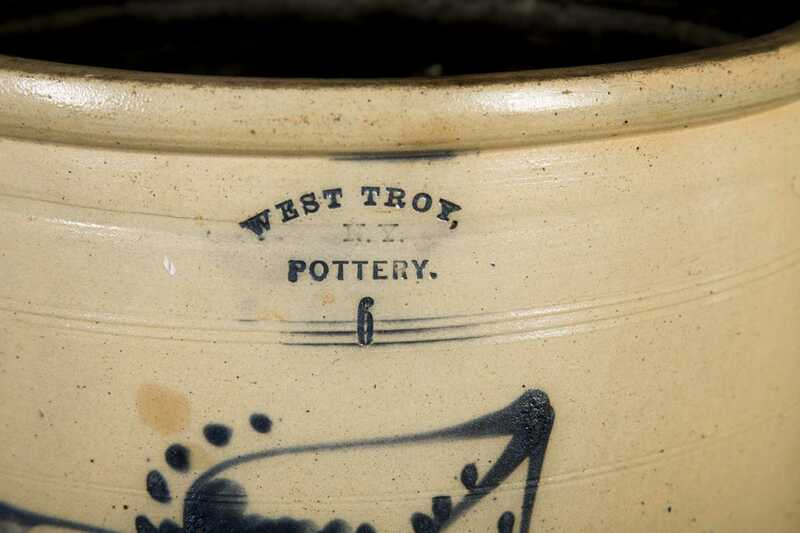 C) Six Gal "West Troy, NY Pottery" with large blue flower, numerous brown stains and base cracks.